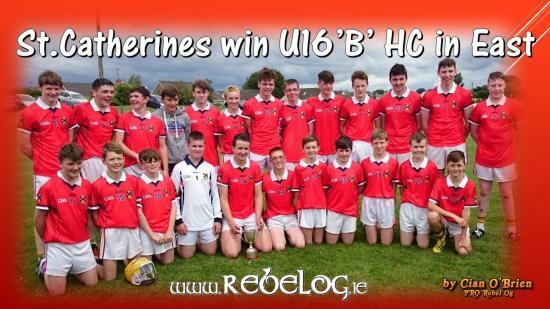 Many times on www.rebelog.ie we mention that goals win matches, that again was the case when St.Catherine’s beat Kilshannig in the County Minor A Hurling League. Played in wet conditions under the lights out in Ballincollig GAA complex.From the off both teams exchanged point for point until the 24th minute when St.Catherine’s raised their first of three green flags. Despite conciding the goal, Kilshannig scored the next 4 points with out reply to edge out in front again.The 46th minu..
A workshop for all people who are involved in GAA and beyond will take place this Saturday in St Finbarrs GAA Complex.The event will see a key note address from Conor Cusack along with practical examples of how Cork clubs have reached out in their communities to promote physical and mental well being for all.An tUachtarain CLG, Aogán O Fearaghaíl will also guest at this event in what is sure to be a very informative workshop in an aspect of our lives that is becoming increasingly i..
On Tuesday night last, 2016 season came to a close in Rebel Og East following their Medal presentation.In all, over 2,230 games took place in the region since its opening weekend in February when the league program kicked off.Speaking at the medal presentation, board Secretary Derek Connelly thanked both the clubs and referee's for their work during 2016. 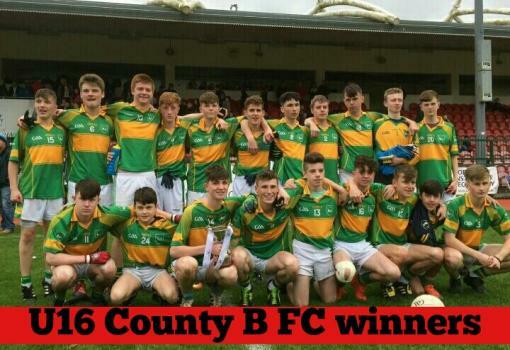 "We set out at the start of the season with big plans, we aimed to get all our games played on or before dates that were set in the Fi..
Bonfires were lighting in Kilmurry on Saturday when their U16s claimed U16 football title following with a two point win over Canovee in the B Final. Played in the CIT complex, both teams brought their A game and were up for a fight. The game had it all, goals, points chances and near misses but today belong to Kilmurry who's forwards got them over the finish line and the chance to climb the steps to be crowned County Champions 2016. Final score Kilmurry 2-15 Canovee 2-13. 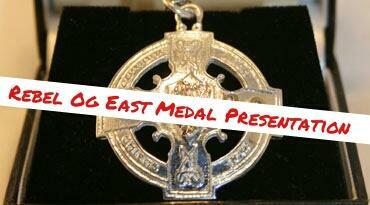 @rebel..
Rebel Og East have confirmed details of their 2016 Medal presentation to the successful teams who played within their region during the current season. 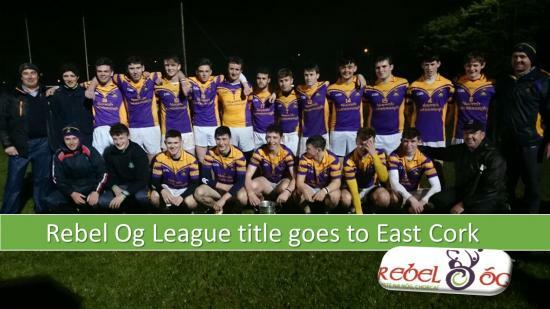 The Presentation of Rebel Og East Championship and League Medals will take place in Nemo Rangers Pavilion on Tuesday 8th November at 7.30pm. The board are asking and inviting clubs to send two Players (Captain and Vice Captain) in Club Jerseys to the event, for Photographs to be taken on the night along with the trophy or shield that th..
GAA Monster Blitz Football Finals take place on this Saturday 8th October.The games provide a conclusion to a season of blitzes which commenced in March.A calendar of activity was given to clubs in February involving a minimum of 1 blitz per month in hurling and football.The blitz finals will see fé 7, fé 8 & fé 9 club teams county wide participate in games this Saturday in Clonakilty, Bandon, Eire Óg, Bishopstown, Mayfield, Lisgould, Cloyne, Doneraile and St M..
Rebel Og would like to congratulate the Cork Ladies Footballers on their Minor All-Ireland win today. Playing old rivals Dublin in the title decider, Cork were well on top for most of the game despite a late rally from Dublin. Tweets from the game are below. 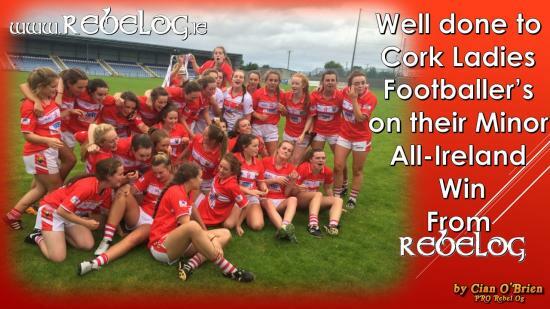 ===== [&amp;amp;amp;amp;amp;amp;lt;a href="//storify.com/CianOBrien/all-ireland-success-for-cork-ladies-minor-team" target="_blank"&amp;amp;amp;amp;amp;amp;gt;View the story "All-Ireland success for Cork..
Rebel Og East U16 B title heads to St.Catherine's following their win over Whitechurch today. St Catherines 1-12 Whitechurch 1-10The scoreline tells the full story as, after another epic game, St Catherines came out on top by two points. Whitechurch led at the break 0-08 to 1-02 having played with the wind. 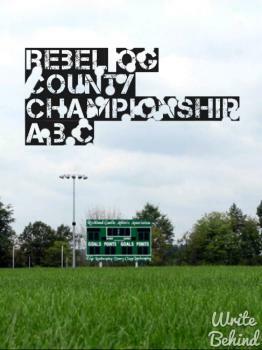 The second half belonged to St Catherines who ran out winners by two points ==== [&amp;amp;amp;amp;amp;amp;amp;amp;amp;amp;lt;a href="//storify.com/..
Rebel Og have announced County A ,B, and C knock out formats for 2016 County Championship Championship Pairings Under 14 Hurling ‘A’East Winner and Runner Up. 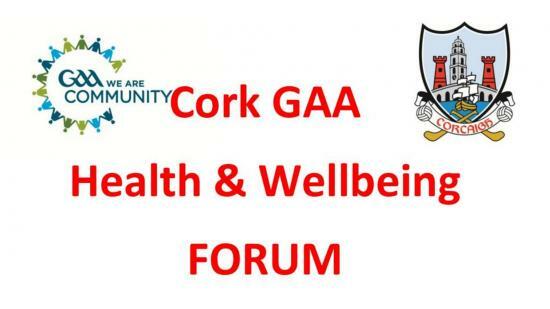 West and North Winner Under 14 Hurling ‘B’East/North Runner Up met in quarter final, winner to qualify for semi finals with East winner, North winner and West winner. . Under 14 Hurling ‘C’East Winner and Runner Up. 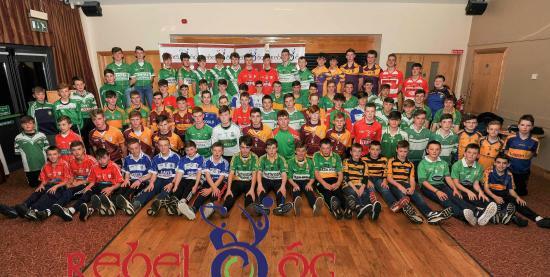 West and North Winner Under 16 Hurling ‘A’East Wi..